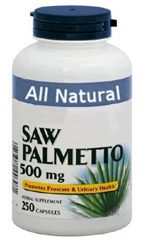 Can You Count on Saw Palmetto to Stop Hair Loss from Testosterone Patches? Is herbal remedy saw palmetto effective for blocking DHT and stopping hair loss? When you start playing with your testosterone levels, you might be trading one problem for another. Weight lifters sometimes use testosterone patches to build more defined, stronger muscles. Average men and women are talked into thinking they have low testosterone (“low T”), even if their testosterone levels are age-appropriate, and they buy testosterone patches or supplements to address issues such as sexual dysfunction, decreased libido, poor mood and low energy. However, spikes in testosterone can elevate dihydrotestosterone (DHT) levels. The body naturally converts testosterone to DHT. 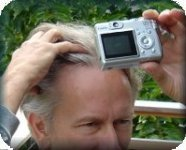 In individuals genetically prone to male pattern balding, additional DHT triggers or exacerbates hair loss on the top and front of the scalp. Recently, companies that sell testosterone-elevating supplements and testosterone patches have started saying that you should take the herbal remedy saw palmetto at the same time, to prevent hair loss from the testosterone. >Continue reading Can You Count on Saw Palmetto to Stop Hair Loss from Testosterone Patches?” />Since saw palmetto is said to be effective for reducing the symptoms of enlarged prostate, logically, it must be blocking DHT – but for the likelihood that saw palmetto does not affect DHT! The use of saw palmetto, an herbal remedy, can be traced back thousands of years to the Mayan civilization, with many medicinal applications. It is said that saw palmetto may have 5-reductase inhibitory activity, which prevents the conversion of testosterone to DHT. Saw palmetto is touted as a way to reduce male pattern balding. However, a study published in the New England Journal of Medicine found that saw palmetto showed only a placebo effect. (In this study, the subjects had enlarged prostate, which is also hormone-related.) For the first month of the study, researchers gave all the participants a realistic-looking placebo that had no active ingredients. Stunningly, nearly all study participants noted some improvement! When half the subjects were given real saw palmetto after that, only very minor improvement, if any, was noted. This was possibly due to the minimal binding effect and delivery of any active ingredients. Thus, people who take testosterone, or any anabolic, with saw palmetto are probably going to have premature hair loss anyway, because saw palmetto does not block the DHT. When making decisions, you must always weigh the risks against the benefits. Be very cautious before proceeding with anything that artificially or “naturally” alters your hormone levels. The human body is an integrated whole, so trying to elevate testosterone may have negative side-effects. Bent S, Kane C, Shinohara K, et al. (February 2006). “Saw palmetto for benign prostatic hyperplasia”. N. Engl. J. Med. 354 (6): 557–66. This entry was posted in Baldness, Genetics, Hair Loss, Hair Loss in Women, Hair Loss Products, Hair Transplant, Hair Transplants, Herbal Treatment on June 18, 2010 by Larry Shapiro.